By living in Southern California, I am acutely aware of the water shortage issues we face in this region of the country. 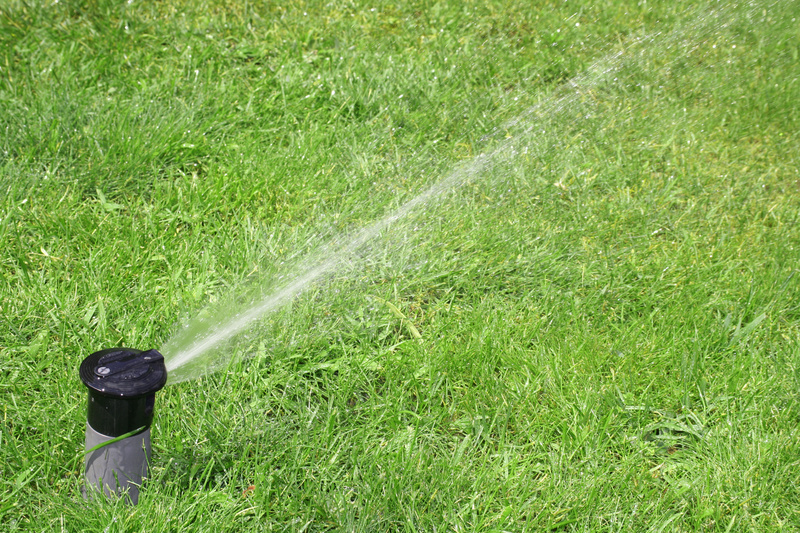 We all have our pet peeves, and one that eats at me repeatedly occurs when I drive by a neighbor’s house and notice they are blasting the sprinklers in the pouring rain. I get the same sensation when I read about out-of control government spending confronting our current and future generations in light of the massive debt loads we presently carry. I, like most people, love free stuff, whether it comes in the form of tooth-pick skewered, teriyaki meatball samples at Costco Wholesale Corp. (COST), or free government education from our school systems. But in times of torrential downpours, at a minimum, we need to be a little more cost conscious of our surroundings and turn off the spending sprinklers. Certainly, when it comes to government spending, there’s no getting around the entitlement elephant in the room, which accounts for the majority of our non-discretionary government spending (see D-E-B-T: New Four Letter Word article). Unfortunately, layering on new entitlements on top of already unsustainable promises is not aiding our cause. For example, showering our Americans with free drugs as part of Medicare Part D program, and paying for tens of millions into a fantasy-based universal healthcare package (purported to save money…good luck) only serves to fatten up the elephant squeezed into our room. Reform is absolutely necessary and affordable healthcare should be made available to all, but it is important to cut spending first. Then, subsequently, we will be in a better position to serve the needy with the associated savings. Instead, what we chose appears to have been a jamming of a massive, complex, divisive bill through Congress. Rule #1 – Don’t Pay Dead People: I know we have an innate maternal/paternal instinct to help out others, but perhaps our government could stop doling out taxpayer dollars to buried individuals underground or those people incarcerated in jail? Over the last three years the government sent $180 million in benefit checks to 20,000 corpses, and also delivered $230 million to 14,000 convicted felons (read more). Rule #2 – Pay for Our Own First: Before we start spending money on others outside our borders, I propose we tend to our flock first. For starters, our immigration policies are a disaster. As I wrote earlier (read Our Nation’s Keys to Success), I am a big proponent of legal immigration for productive, higher-educated individuals – not elitist, just practical. If you don’t believe me, just count the jobs created by the braniac immigrant founders at the likes of Google Inc. (GOOG), Intel Corp. (INTC), and Yahoo! Inc. (YHOO). These are the people who will create jobs and out-battle scrappy, resourceful international competitors that want to steal our jobs and our economic leadership position in the world. What I don’t support is illegal immigration – paying for the healthcare and education of foreign criminals with our country’s maxed-out credit cards. This is the equivalent of someone breaking into my house, and me making their bed and feeding them breakfast…ridiculous. I do not support the immigration law passed in Arizona, but this unfortunate chain of events thankfully puts a spotlight on the issue. Rule #2a. – Stop Being the Globe’s Free Police: If we are going to comb the caves of Tora Bora as part of funding two wars and chasing terrorists all over the world, then we not only should be spending our defense budget more efficiently (non-Cold War mentality), but also charging freeloaders for our services (directly or indirectly). We are spending a whopping 20 cents of each federal tax dollar on defense, so let’s spend it wisely and charge those outside our borders benefiting from our monetary and physical sacrifices. And, oh by the way, sending $400 million to the territory controlled by Hamas (read more) doesn’t sound like the brightest decision given our fiscal and human challenges at home. I sure hope there are some tangible, accountable benefits accruing to the right people when we have 25 million people here in the U.S. unemployed, underemployed, or discouraged from finding a job. Rule #3: Put the Obese Elephant on a Diet – As I alluded to above, our government doesn’t need to serve our overweight, entitlement-fed elephant more chocolate, pizza, and ice cream in the form of more entitlements we are not capable of funding. Let’s cut our spending first before we buy off the voters with new spending. There are obviously a wide ranging set of economic, political, and even religious perspectives on the best ways of managing our hefty debt and deficits. I do not pretend to have all the answers, but what I do know is it is not wise to blast the sprinklers when it is pouring rain outside. *DISCLOSURE: Sidoxia Capital Management (SCM) and some of its clients own certain exchange traded funds, and GOOG, but at the time of publishing SCM had no direct positions in COST, YHOO, INTC, or any other security referenced in this article. No information accessed through the Investing Caffeine (IC) website constitutes investment, financial, legal, tax or other advice nor is to be relied on in making an investment or other decision. Please read disclosure language on IC “Contact” page. Entry filed under: economy, Government, Politics. Tags: debt, deficit, Government, healthcare, immigration, Spending.